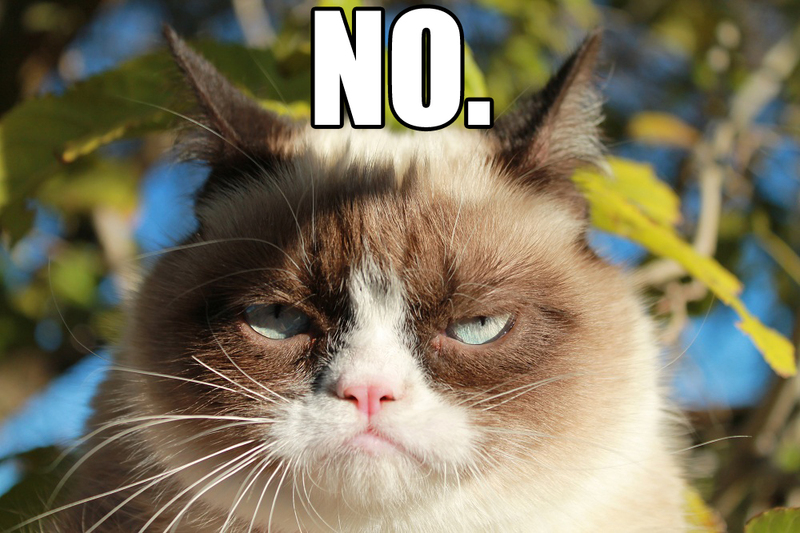 When I’m going through an embryo transfer cycle, I feel like I turn into the Queen of No…might as well call me Grumpy Cat. I feel like I have to defend my energy level, attitude and well-being, which means I have to say no to stuff. I have to stay focused on getting enough rest, exercising and eating right. And then I have to say no some more. And this applies to everyone (well, except the dog). But everyone else…husband, family, friends, work. My husband gets the worst of it. Husband: We should adopt another dog! Let’s go look at rescue dogs next weekend! Dog: I love you! I love you! Play with me! Feed me! Cuddle with me! Me: Well, ok…how can I say no to you.